The obvious response to a chronic disease like alcoholism is professional, structured treatment. But, “treatment” is a very broad term that covers a number of components. 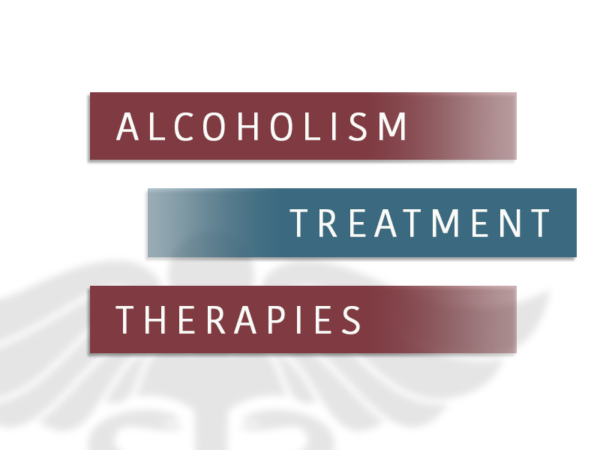 One of the common components consistent among alcohol addiction treatments is therapy. Whether performed one-on-one, in groups, or with a spouse or family member, therapy works to help participants uncover the things motivating their alcoholism and enables them to change those things. 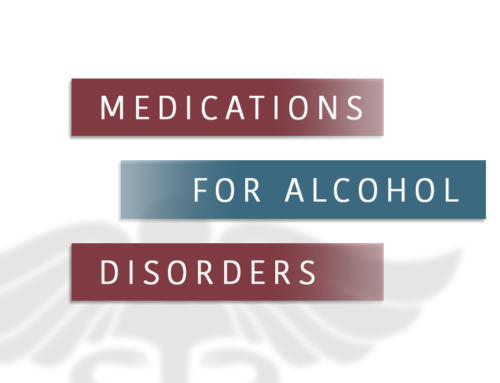 The following post will discuss two prominent behavior therapies that are used to treat alcohol addiction. 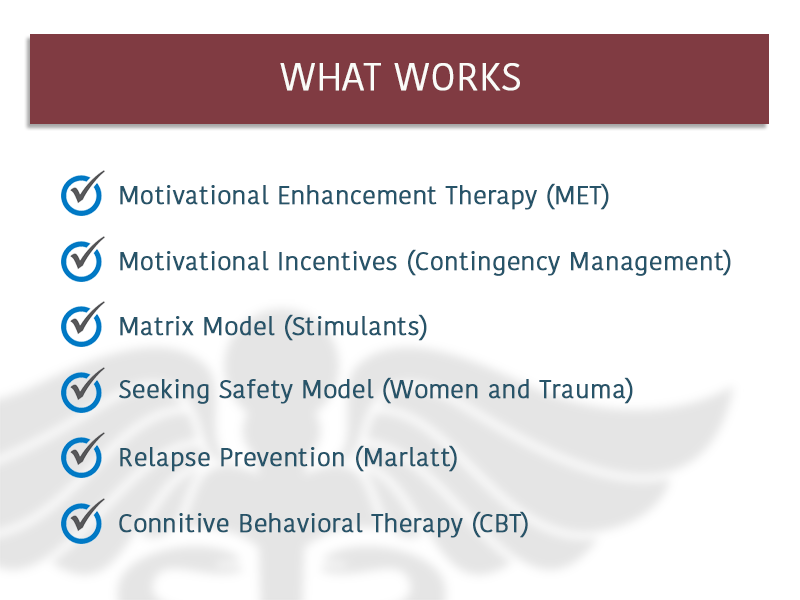 These are cognitive behavioral therapy and contingency management/motivational incentives. 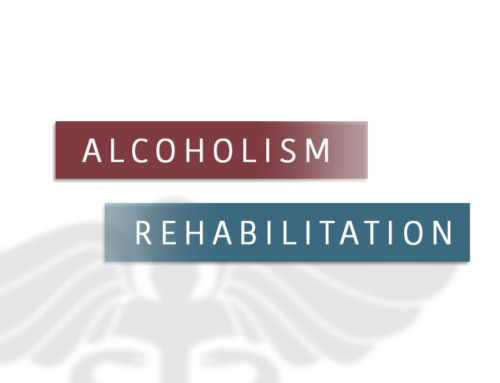 Readers should feel like they better understand these approaches and the role they play in alcohol addiction treatment. Providing participants with an incentive to remain abstinent. Engaging participants in their alcohol abuse treatment. Increasing the life skills participants need to manage stressful circumstances and the environmental cues that can triggers urges to drink. The therapies included in this post have been shown to be effective in treating alcoholism.Click edit button to change this text. Cognitive behavioral therapy (CBT) is the most common therapy practiced in rehab settings. It has the advantage of being effective in a short period of time, which is what people in a 28-day rehab program really need. They get results quickly. 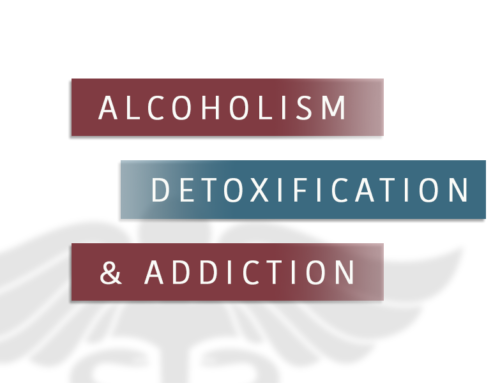 Initially formulated to prevent relapse in recovering alcoholics, CBT directs its attention to the thoughts and the beliefs of the addict and the ways that they affect mood and actions. By changing their thought processes to be more positive and healthy, patients can also change unhealthy behavior patterns, like excessive drinking. Identifying inaccurate or obstructive patterns of thought. Identifying and alter distorted beliefs. Connecting with others in more helpful ways. 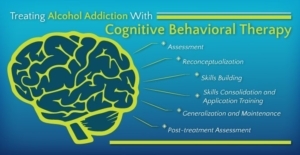 According to the National Institute on Drug Abuse, research demonstrates the skills acquired during CBT stay with the patient after treatment, which shows how effective it is in helping alcoholics change both their thinking and their behavior. What Is Contingency Management Interventions/Motivational Incentives Therapy? Contingency management is a common treatment approach that has been shown through research to be quite effective. Participants are provided with tangible rewards for good behavior, which should be reinforced by this action. According to the National Institute on Drug Abuse, research shows that these incentive-based interventions are actually very effective in keeping people in treatments and promoting substance abstinence. There are two main types of contingency management: voucher-based reinforcement and prize incentives. Voucher-based reinforcement is used in conjunction with other community-based treatments. Although it is primarily used for stimulant and opioid addicts, it can be used for alcohol addiction therapy as well. Patients who deliver a clean breathalyzer test are provided with a voucher. Every voucher has a value assigned to it and they can be traded in for good and services that are in keeping with a drug and alcohol free lifestyle. Values begin with a low value and increase as the number of clean breath scores increases. If the patient tests positive for alcohol, the value reverts to the lowest level. Prize Incentives work the same way that vouchers do, except that the prizes are literal cash. During the program, people who have supplied clean breath tests are given the chance to draw from a bowl and receive between one dollar and one hundred dollars. Often weekly draws are also given for attendance at counselling of for completing goals. As with the vouchers, the number of draws starts low and increases with each clean test; a reset will occur if participants test positive for drugs and/or alcohol. The goal is to have participants so engaged with the concept of the reward that it helps them to motivate themselves through treatment and gives them another obstacle to relapse. In general, it has been shown to do exactly that. This is therapy is used less often than CBT, so people who feel it would fit their mindset and work as part of their treatment will need to confirm that it is offered before choosing a program.